Blogger users have the facility to add a custom domain to their existing .blogspot blogs . Here they will be able to remove .blogspot extension from their blog and change it with .COM ,.NET or whatever TLD they want . Domain names are available from 2.8 $ onwards and if you want to be a professional Blogger , I advice you to a turn your blog into a custom domain .We have already shared a method to start Blogger custom domain for people having domain registrations without DNS hosting, using EditDNS.net .Transferring blogspot to Blogger custom domain is very task with domain registrars like Namecheap and Godaddy who are having DNS hosting facility . First you have to register your domain name using Namecheap . If you already have one , go to manage domain . 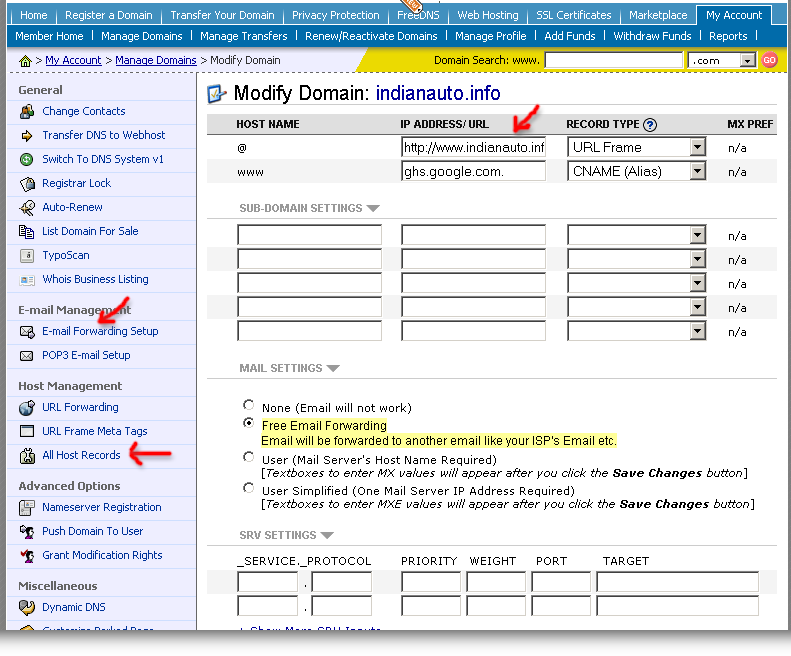 Select the domain name link you want to modify . From the left pane ,select all host records .Now you would see a page as shown above . Enter URL and select record type as URL frame . Enter ghs.google.com. and select record type as CNAME . Now the domain has been successfully pointed to Google servers . There are some other settings that is to be changed from your Blogger dashboard . Please check my old post on Blogger custom domain to know how you can do that . Email forwarding for Blogger custom domain in Namecheap . 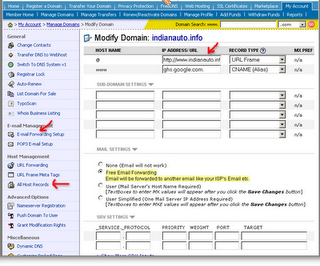 Select email forwarding setup from left tab . Enter required email id @domain and the email address to which it is to be forwarded .